Utilizing simple stats to empower the upcoming generation to vote. "So, your country’s a mess, you feel useless in the grand scheme of politics, you don’t know if you can trust the media anymore, and you’re not sure if your vote even matters. What are you supposed to do? It’s simple, Raise Your Voice." 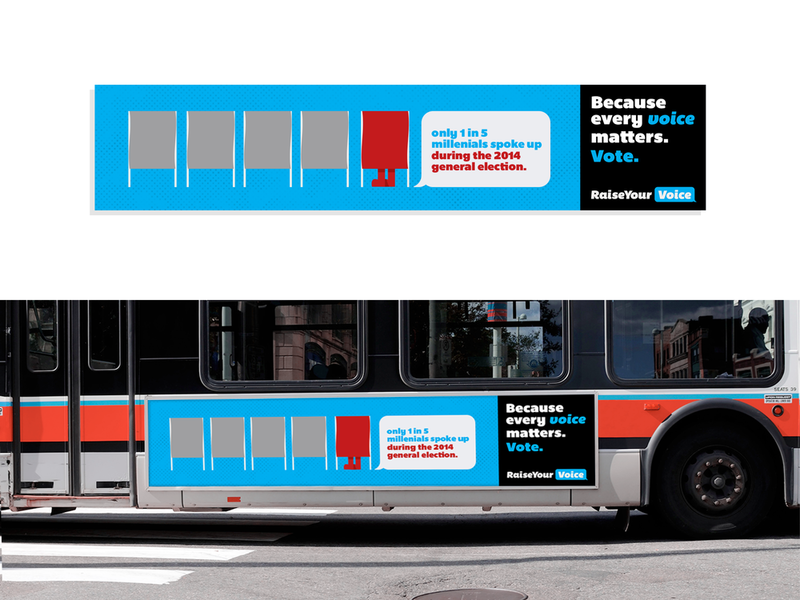 Raise Your Voice is a fictional advertising campaign encouraging young voters to get out and vote– not just in general elections but state, local, and primary elections.